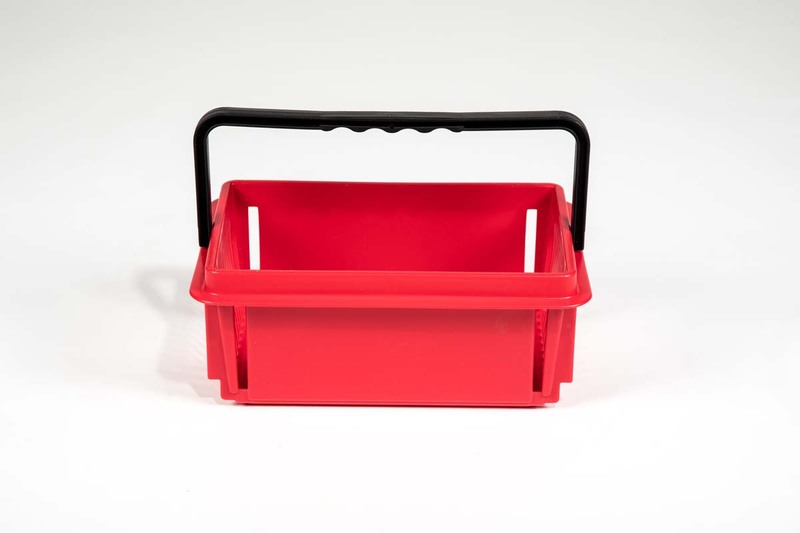 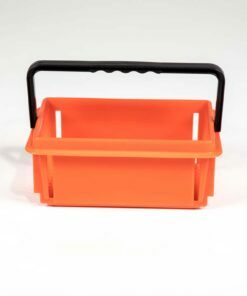 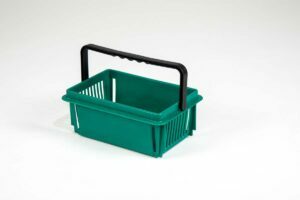 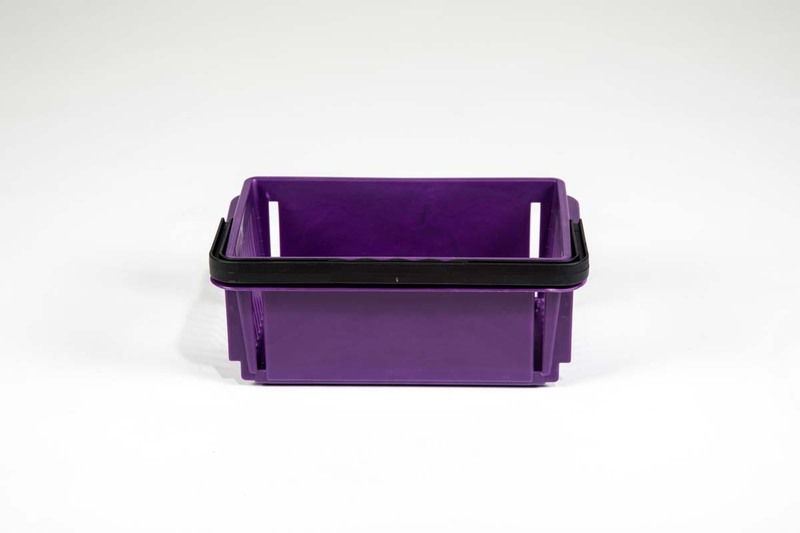 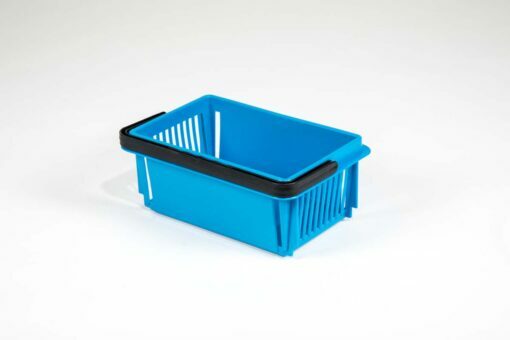 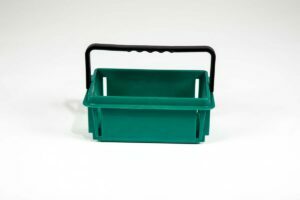 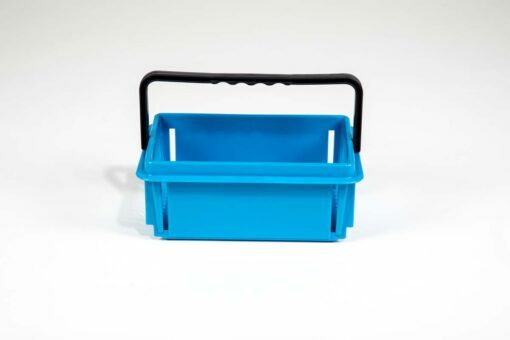 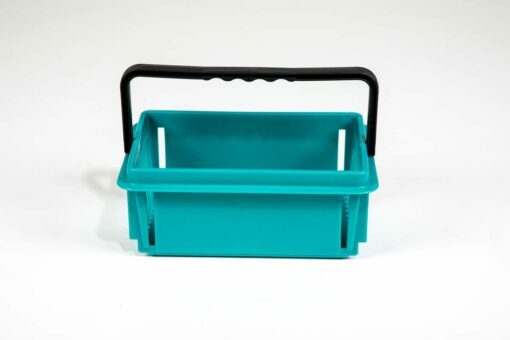 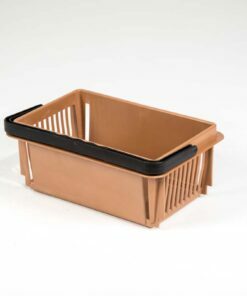 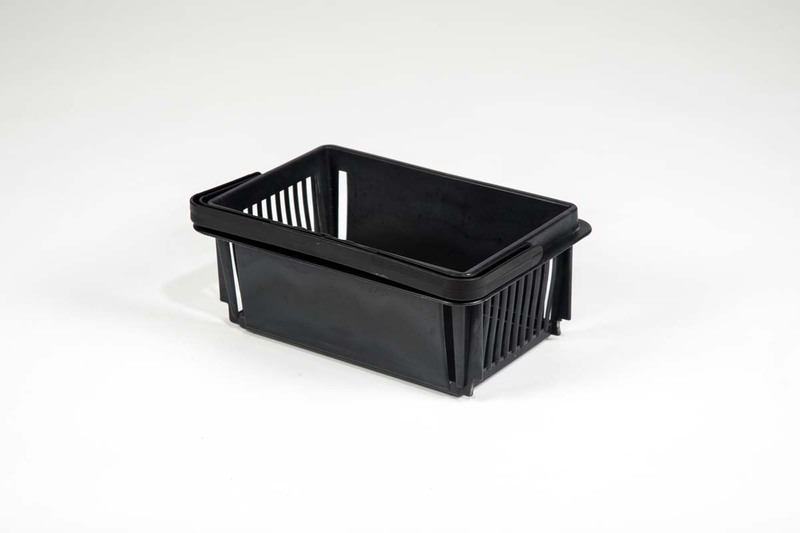 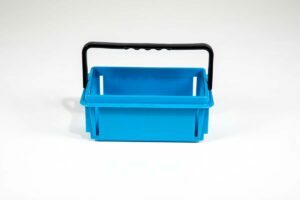 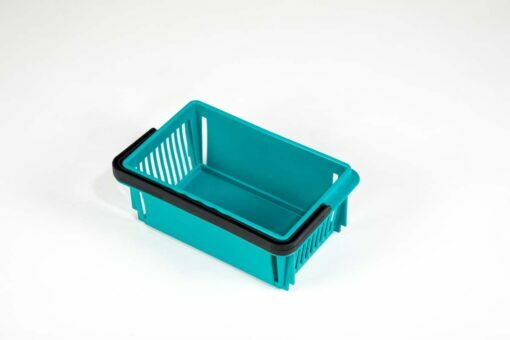 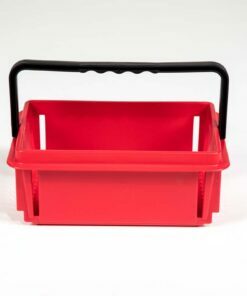 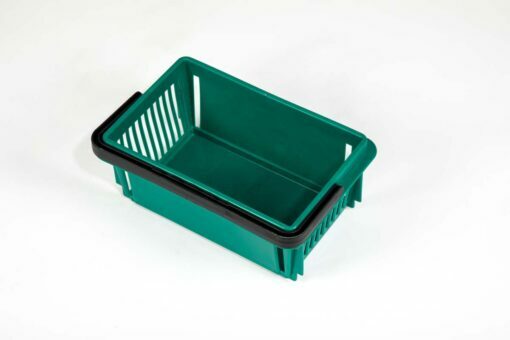 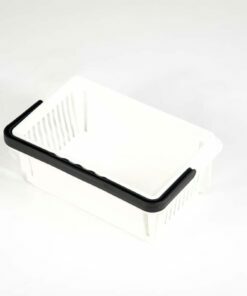 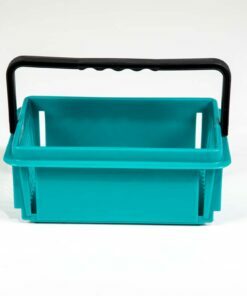 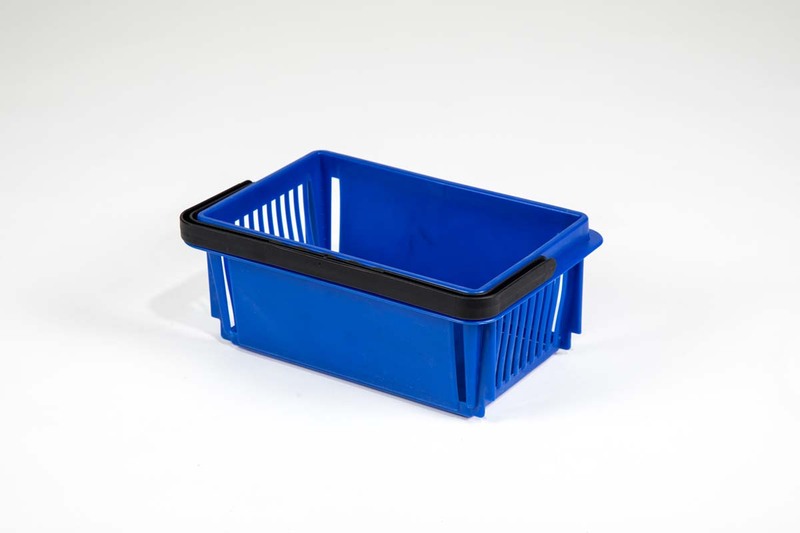 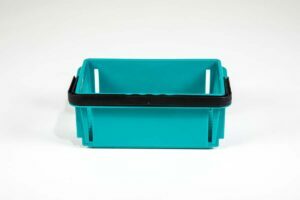 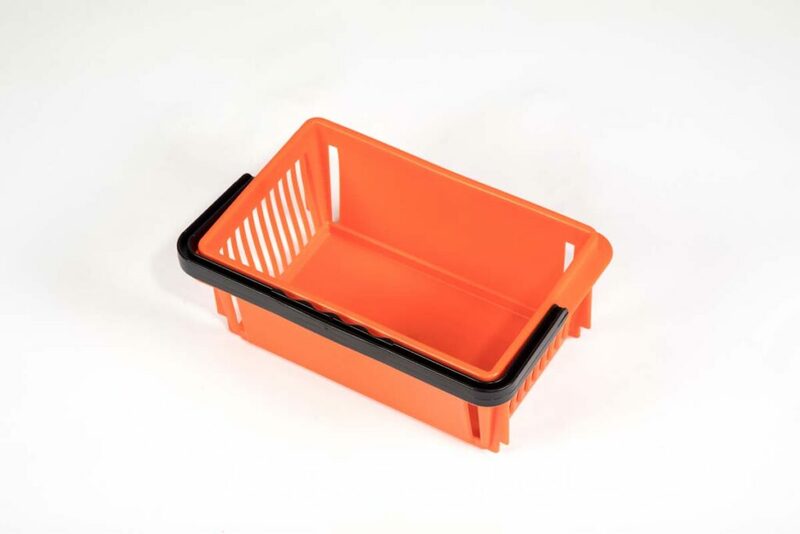 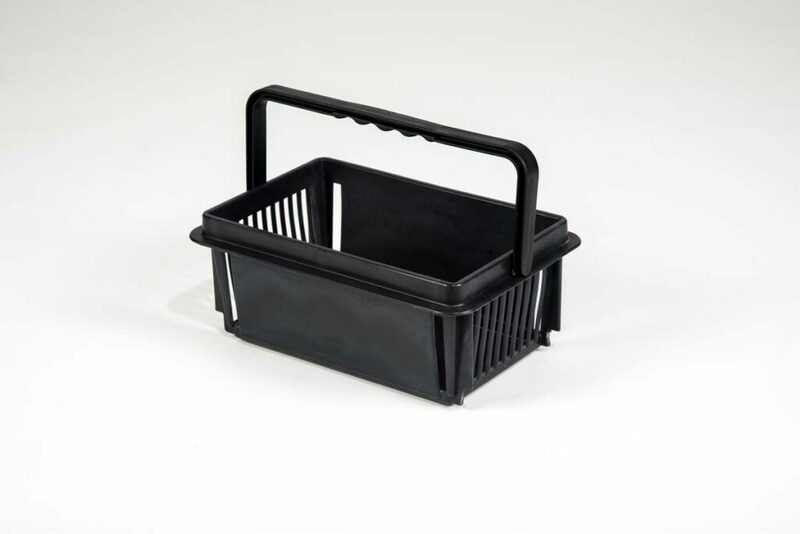 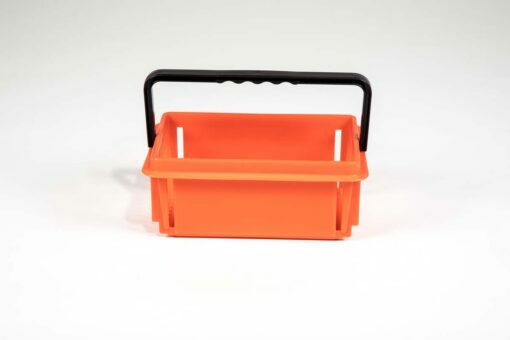 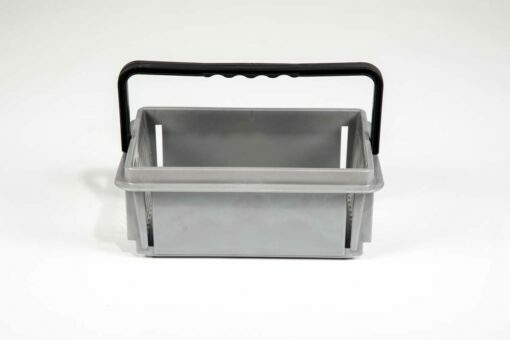 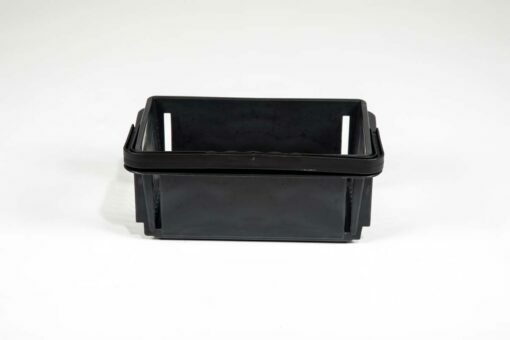 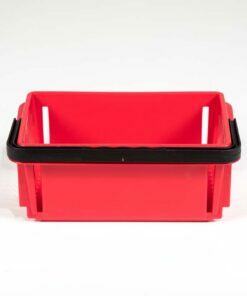 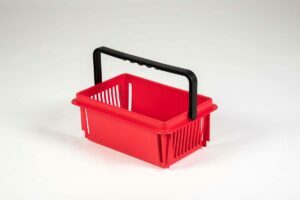 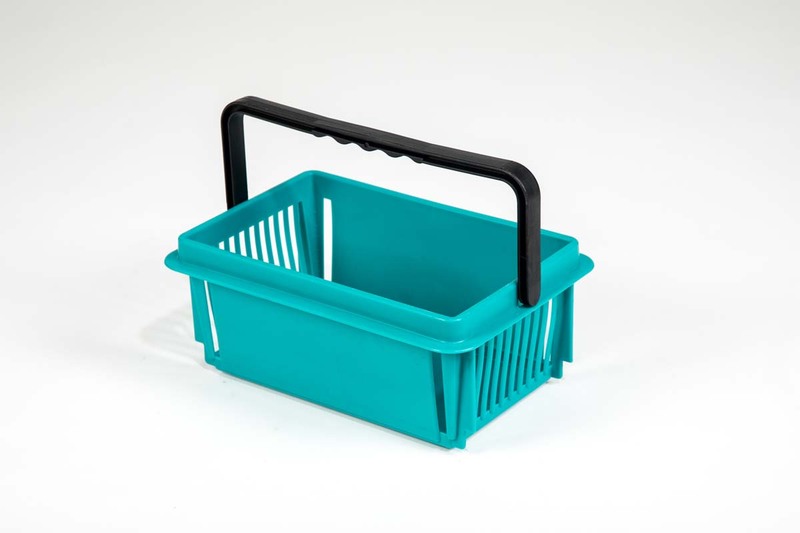 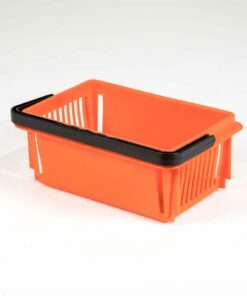 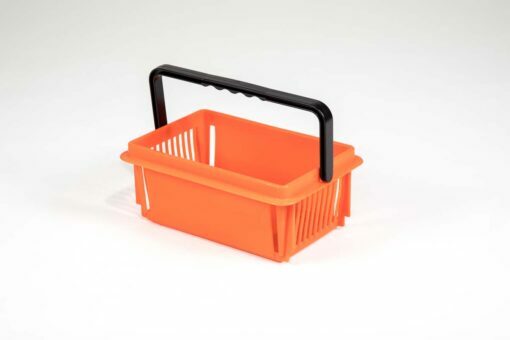 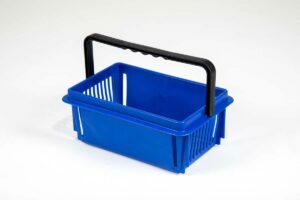 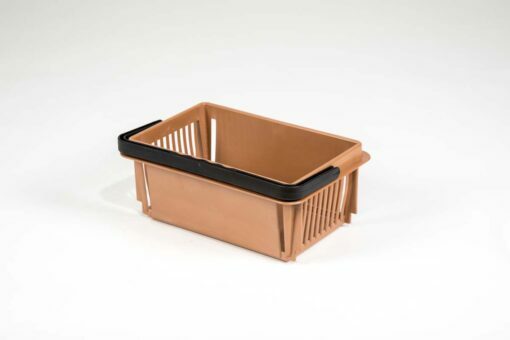 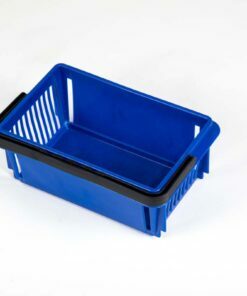 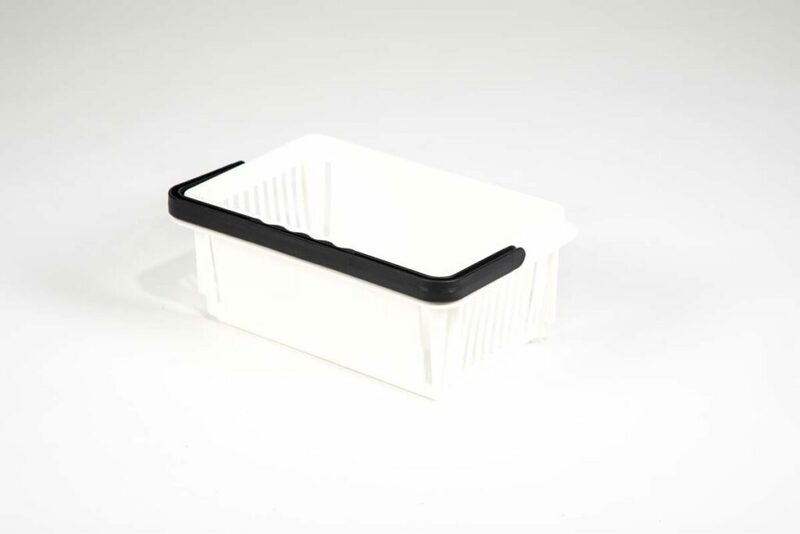 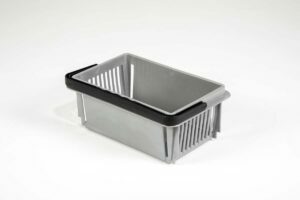 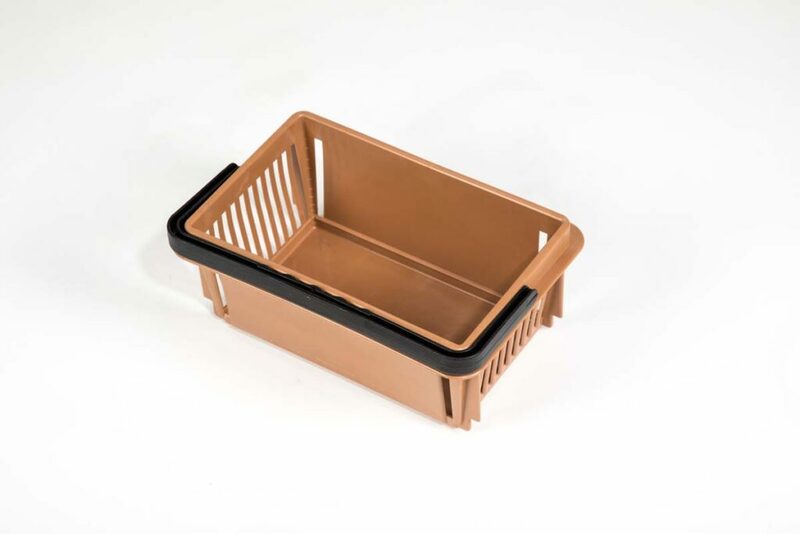 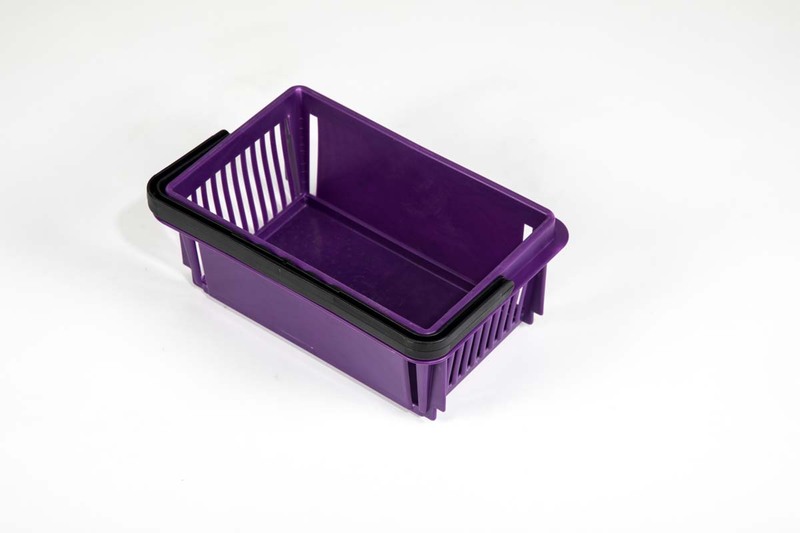 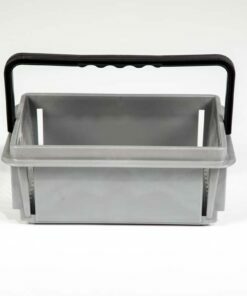 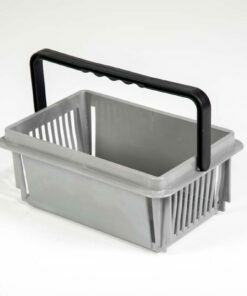 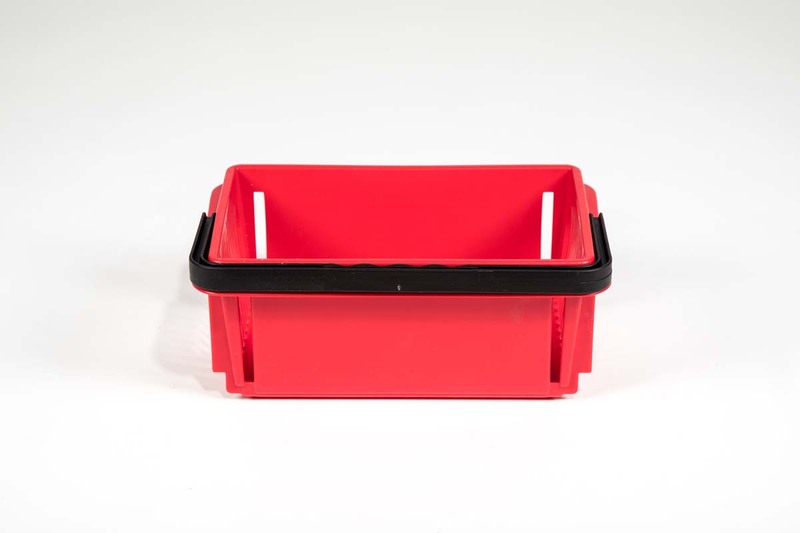 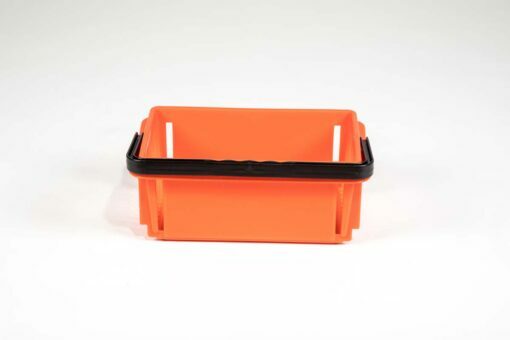 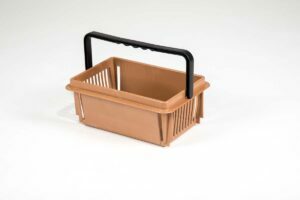 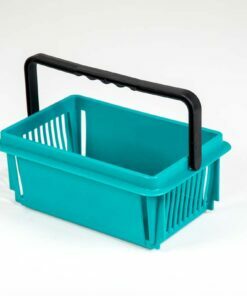 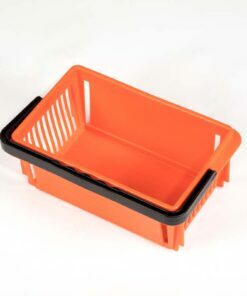 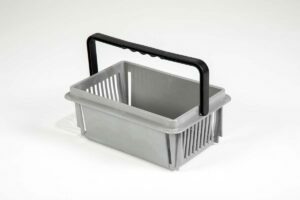 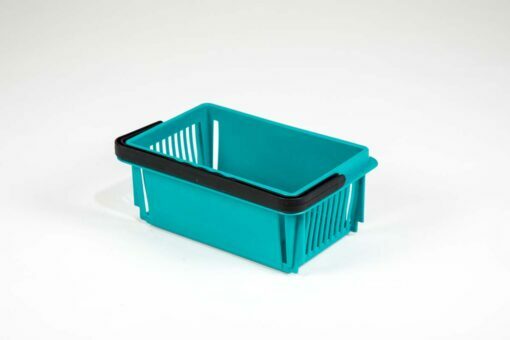 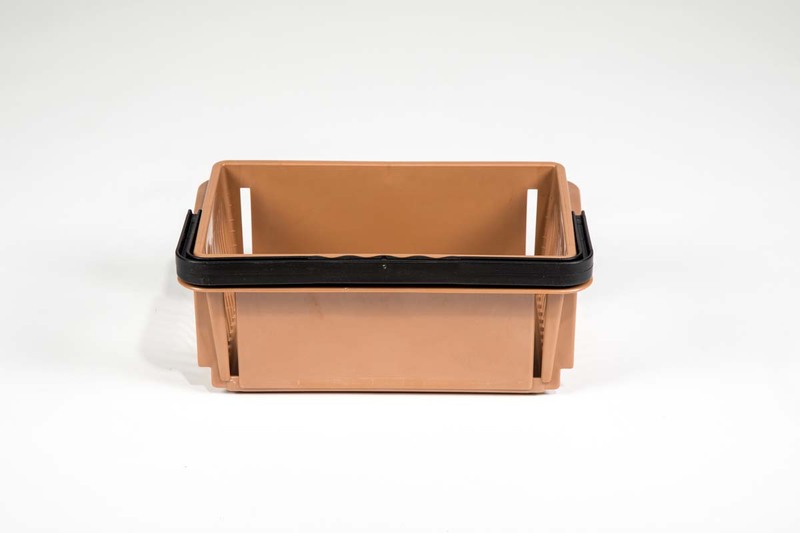 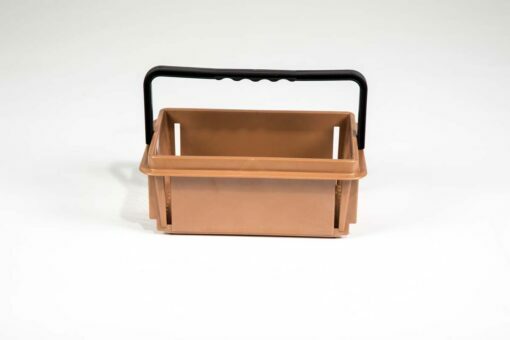 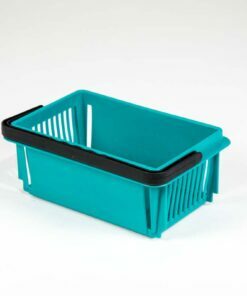 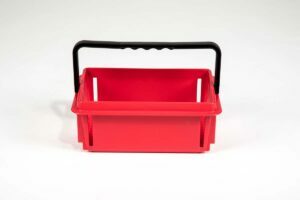 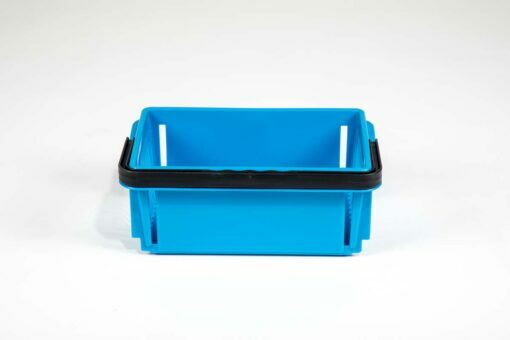 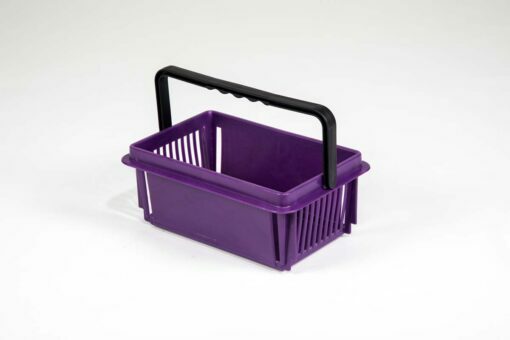 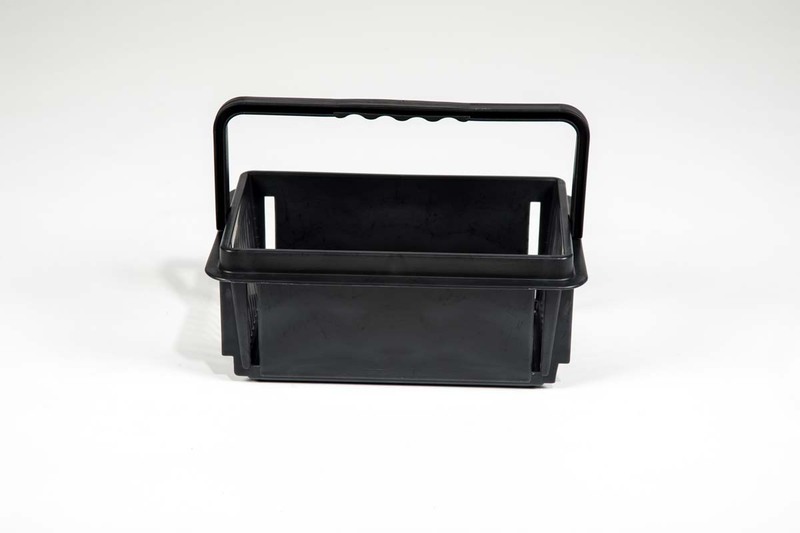 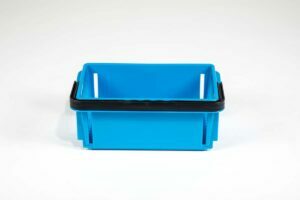 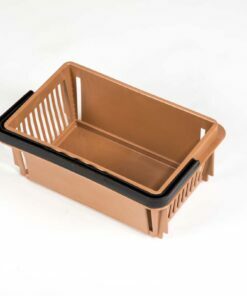 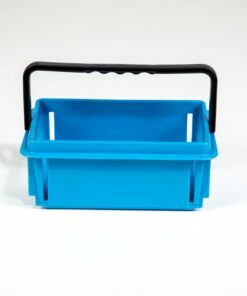 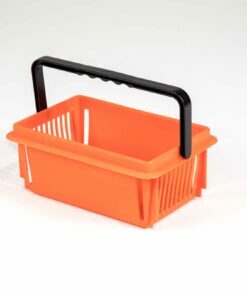 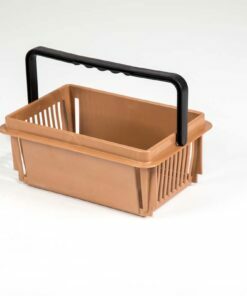 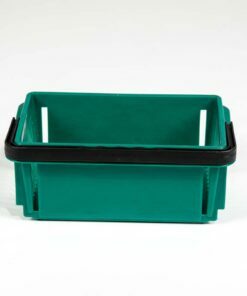 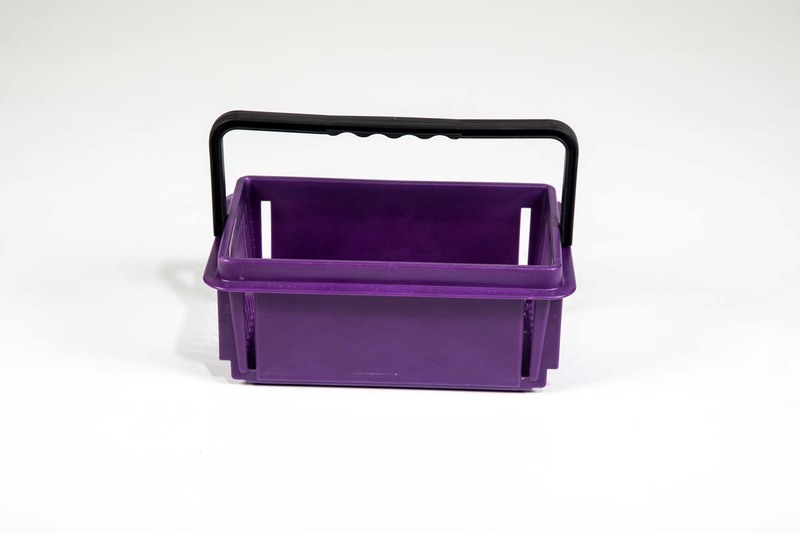 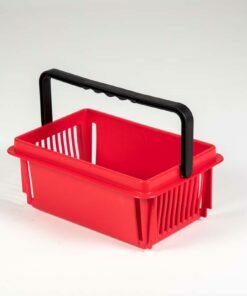 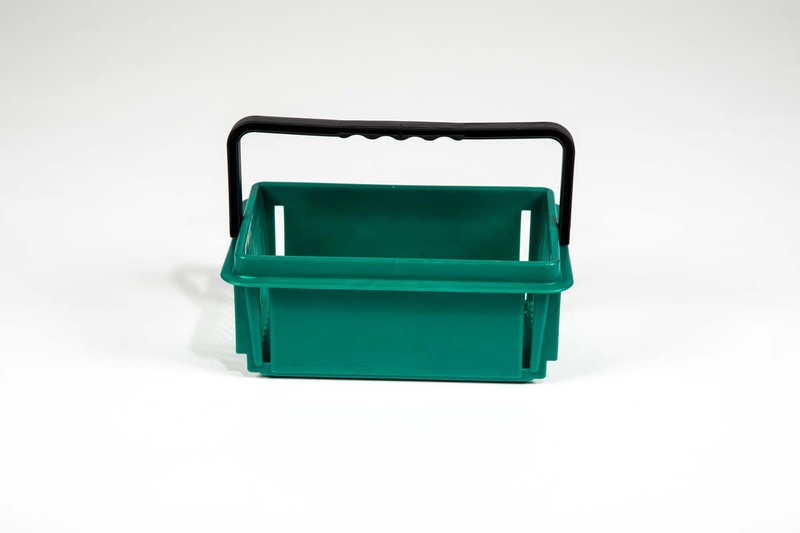 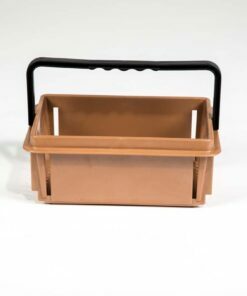 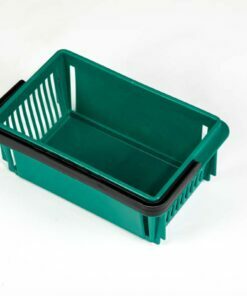 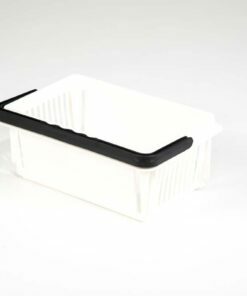 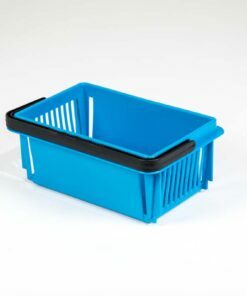 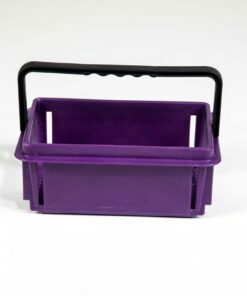 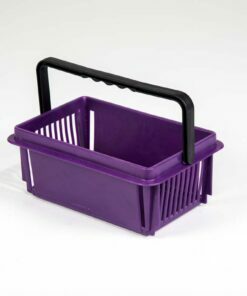 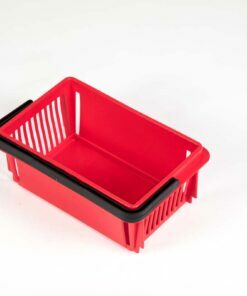 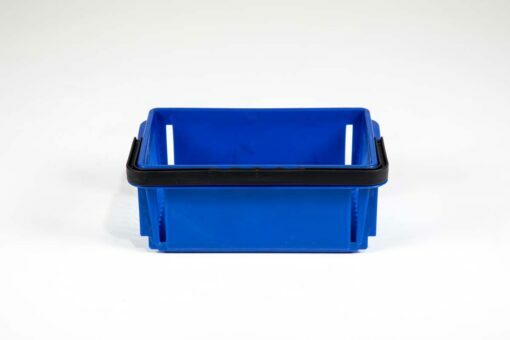 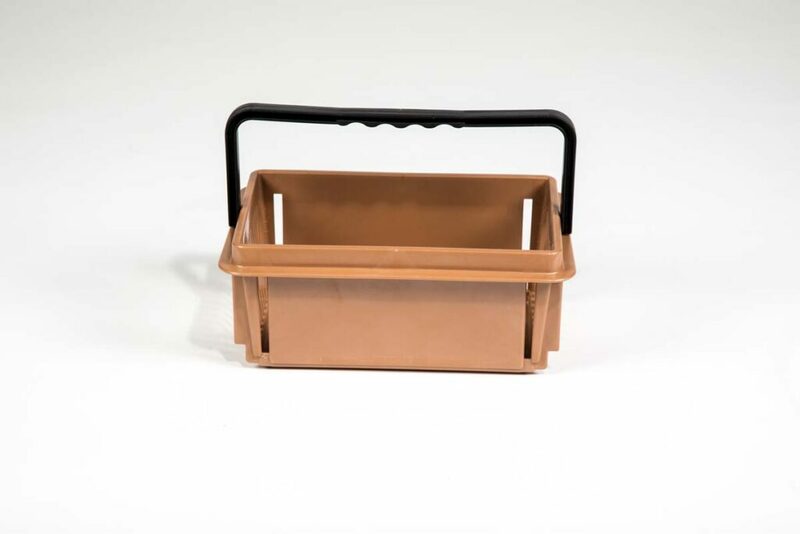 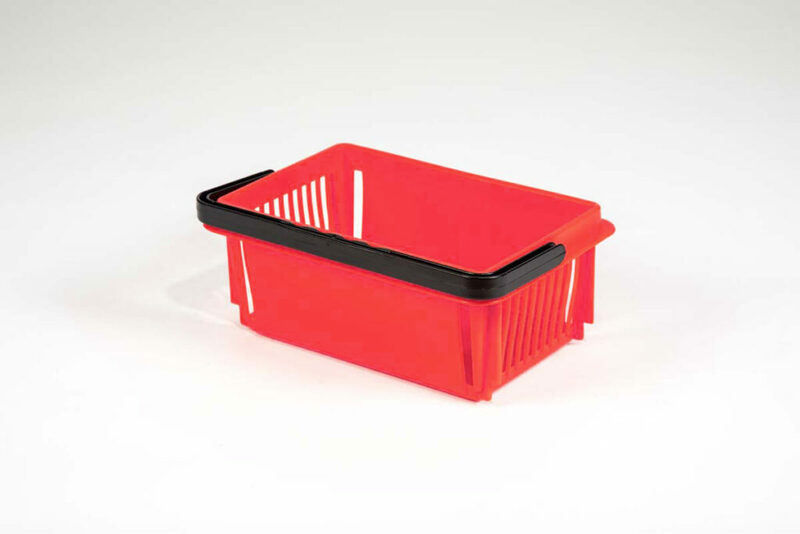 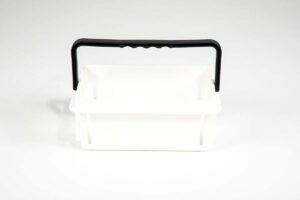 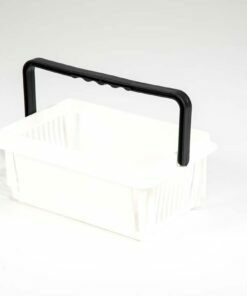 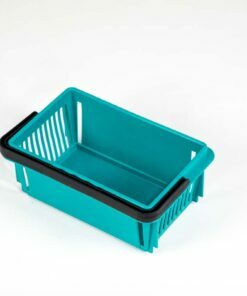 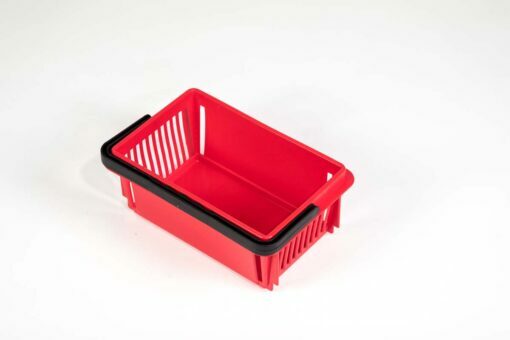 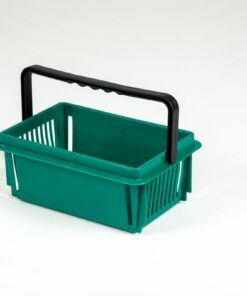 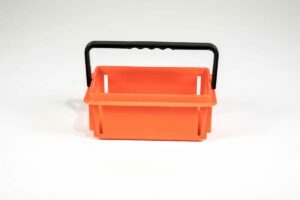 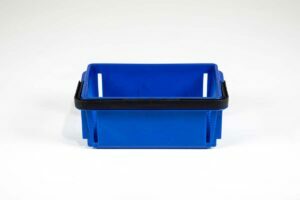 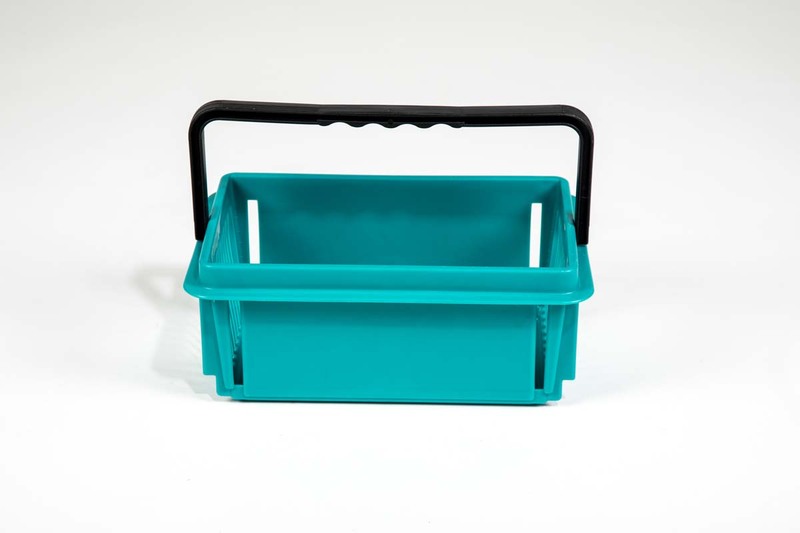 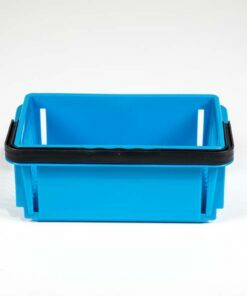 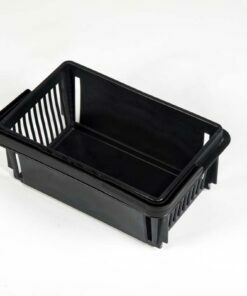 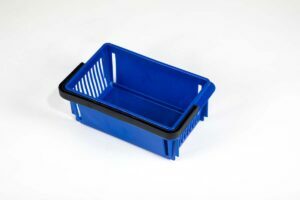 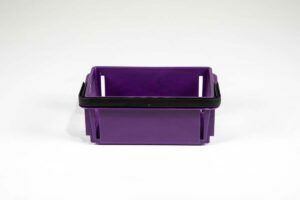 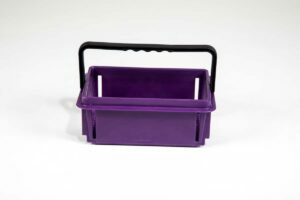 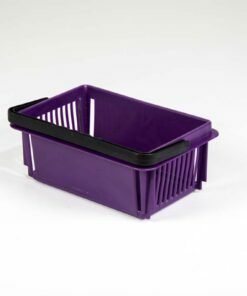 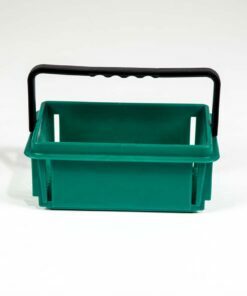 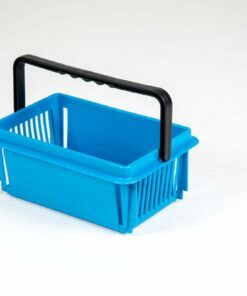 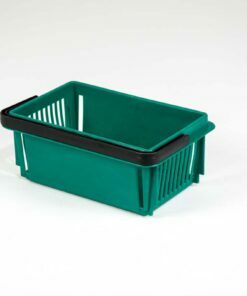 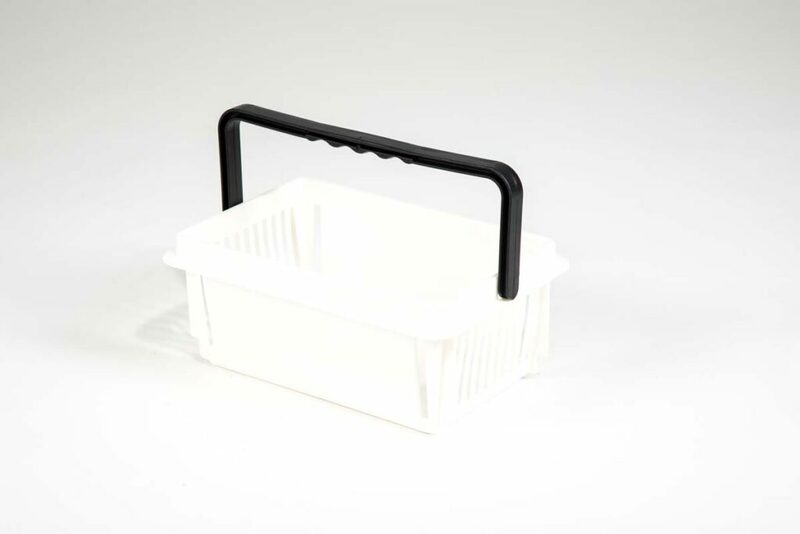 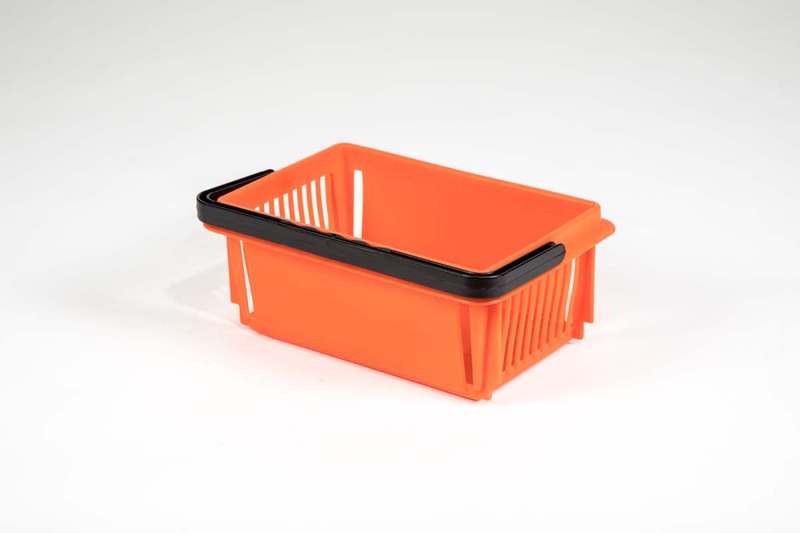 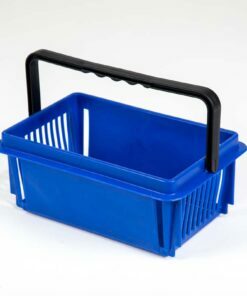 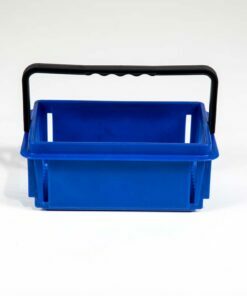 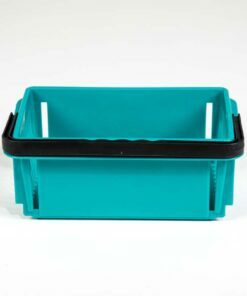 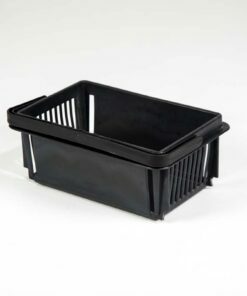 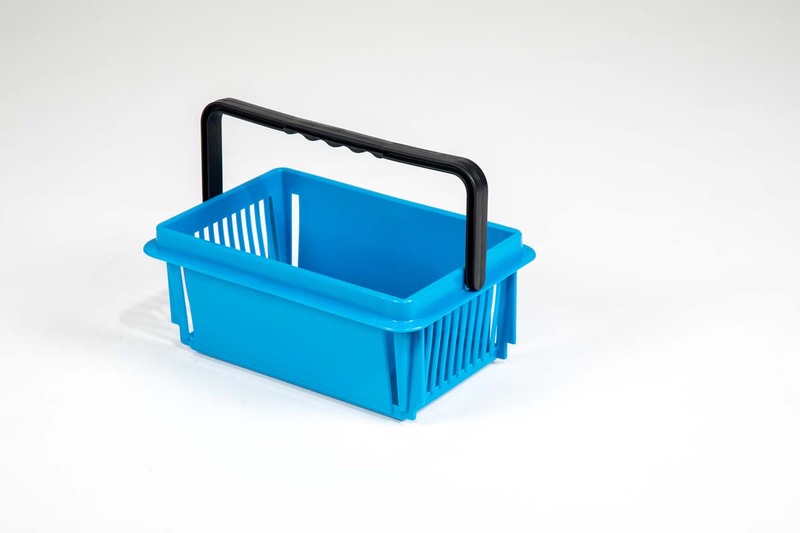 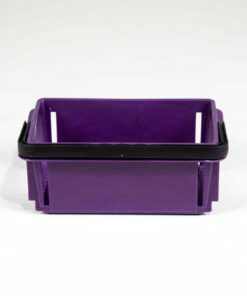 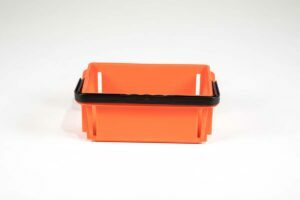 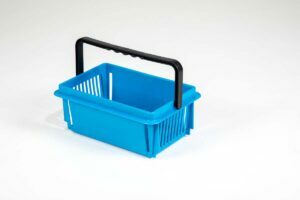 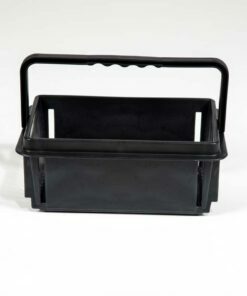 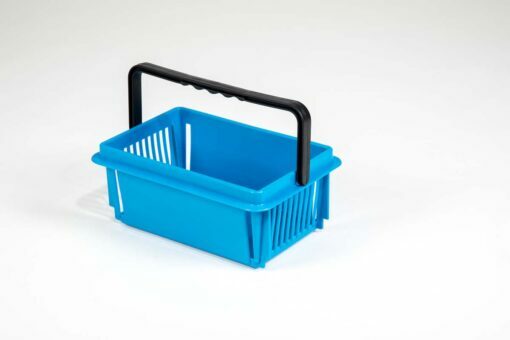 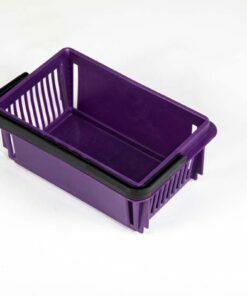 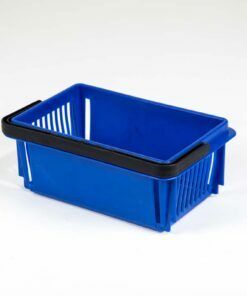 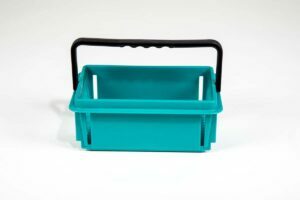 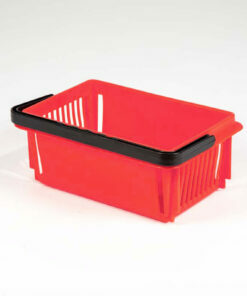 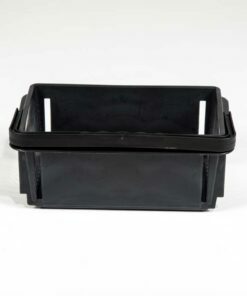 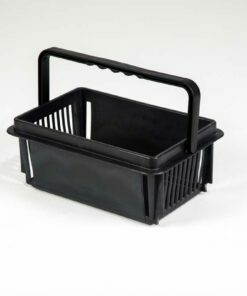 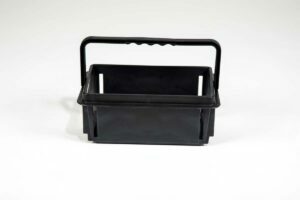 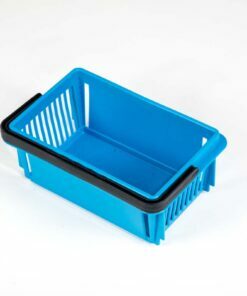 Made from highly durable, 100% recycled copolymer plastic here in the U.S., our Mini Baskets deliver ultra strength, storage, and durability, in a compact, easy-to-carry design that elevates customer satisfaction. 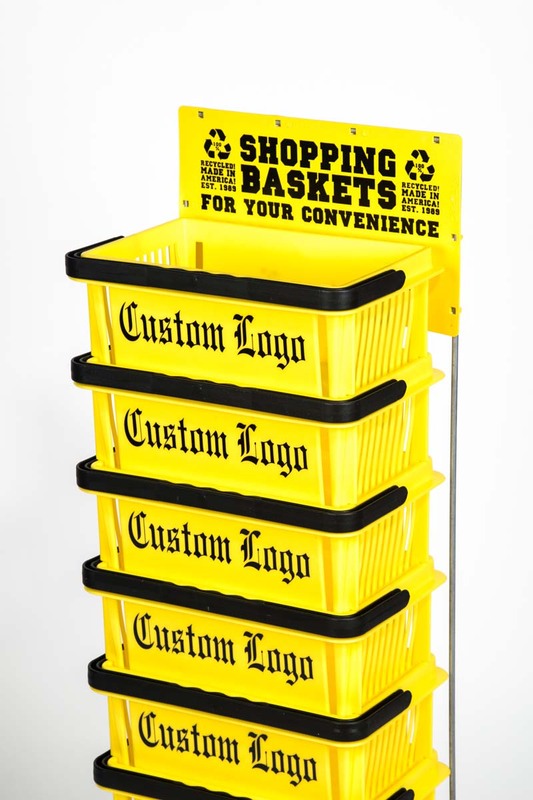 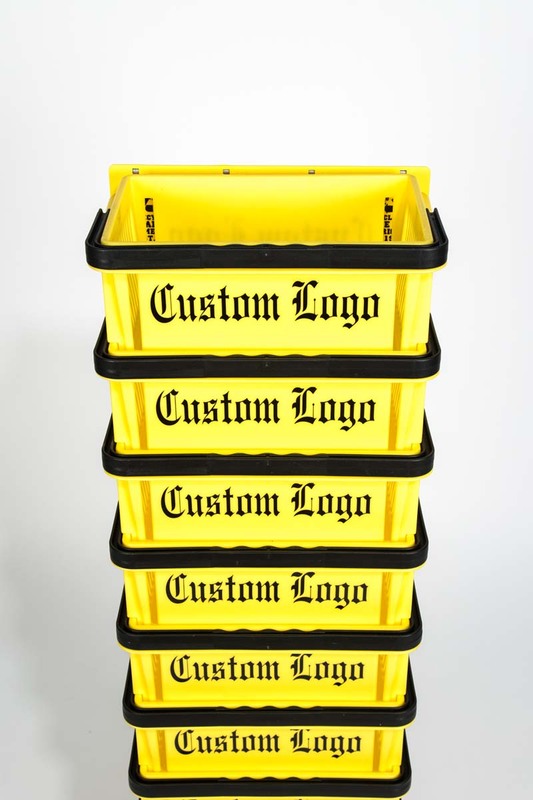 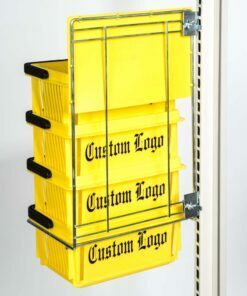 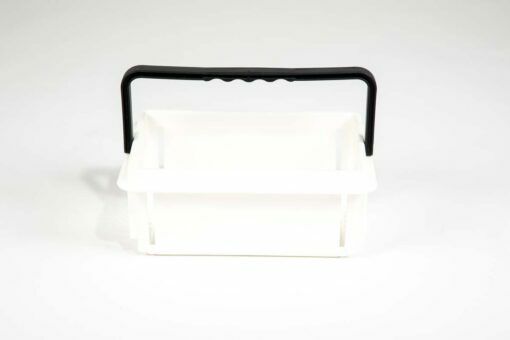 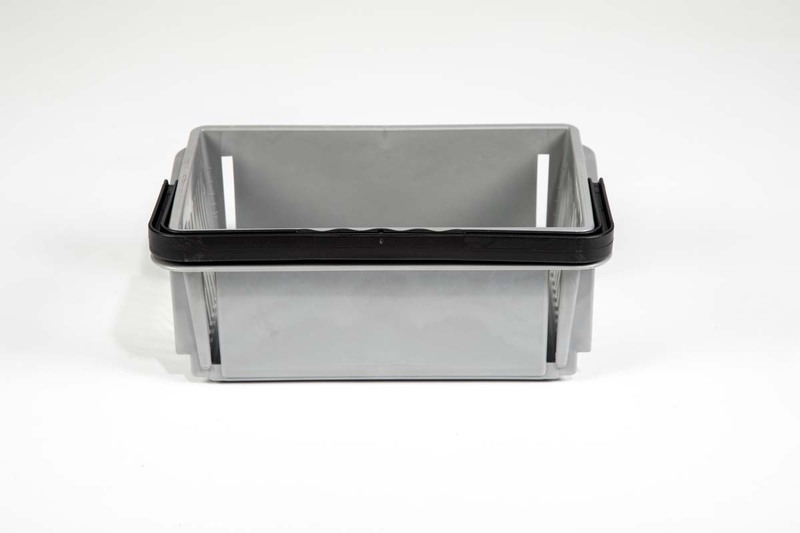 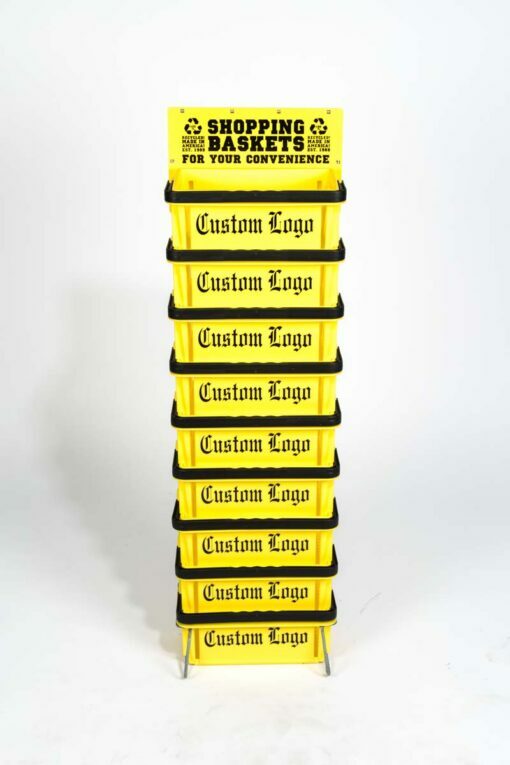 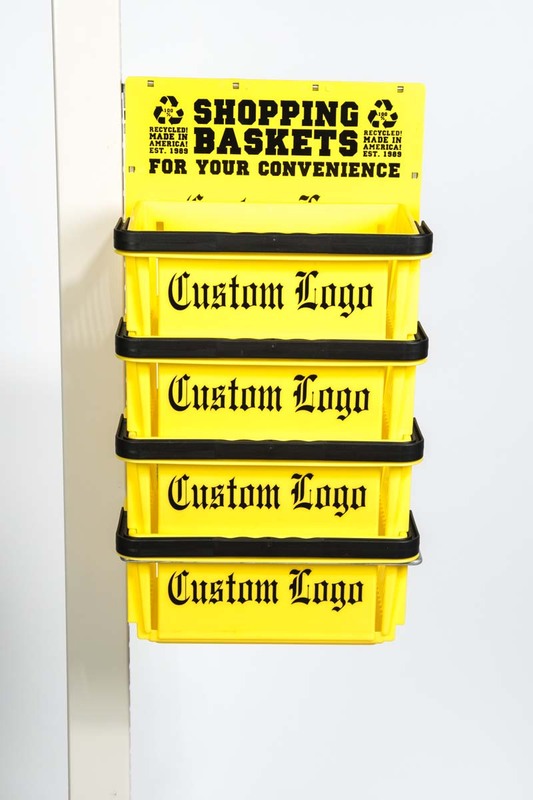 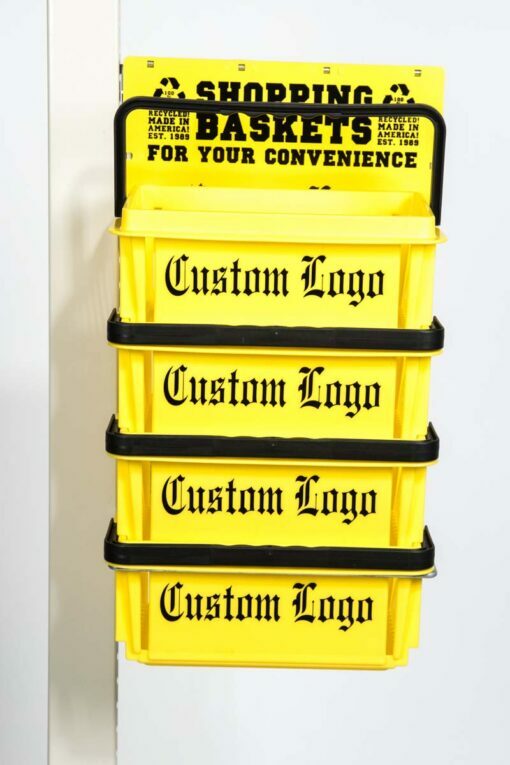 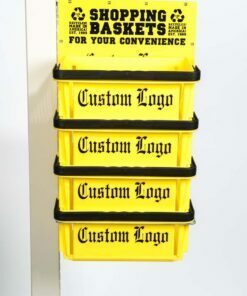 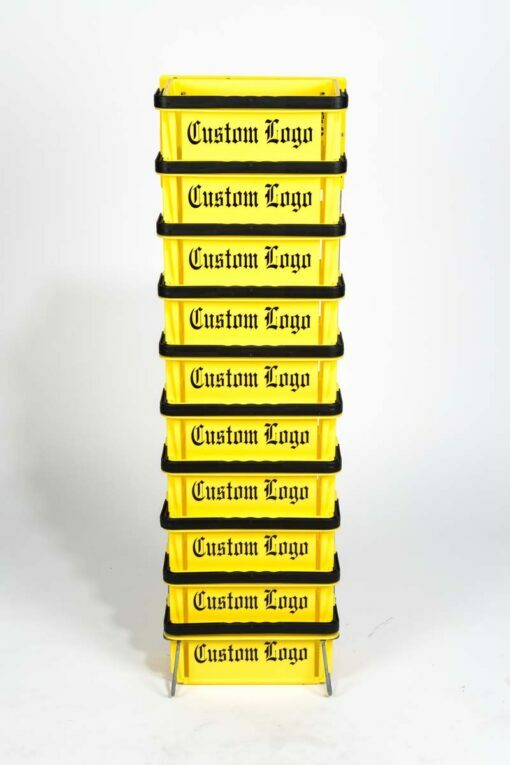 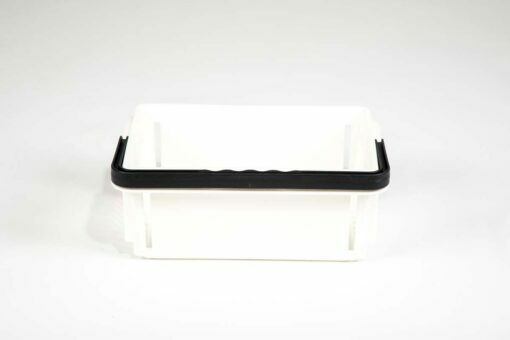 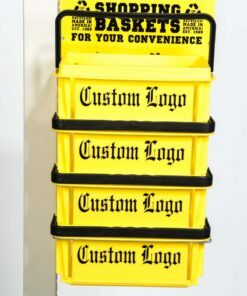 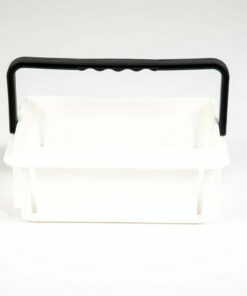 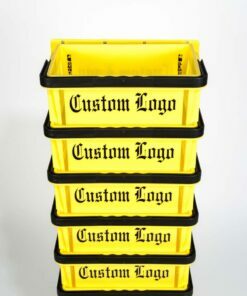 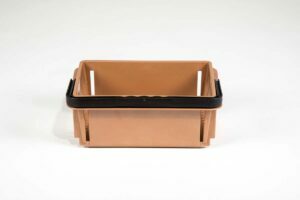 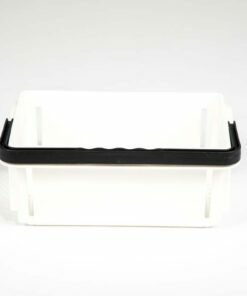 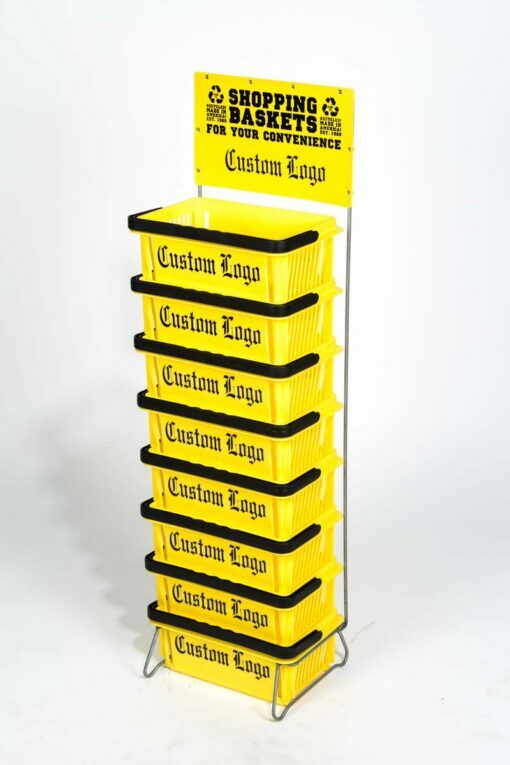 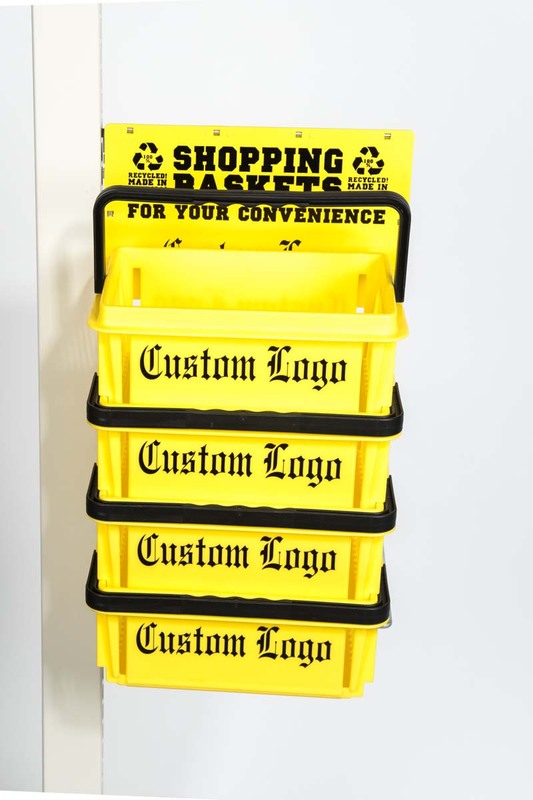 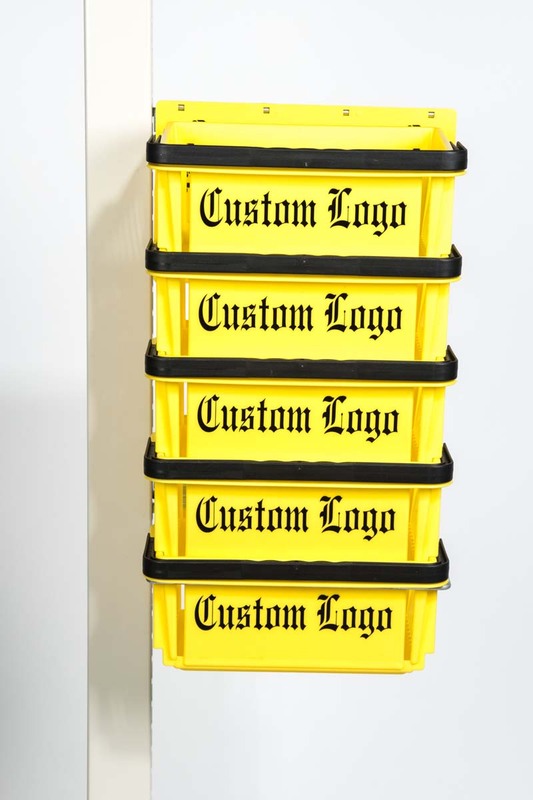 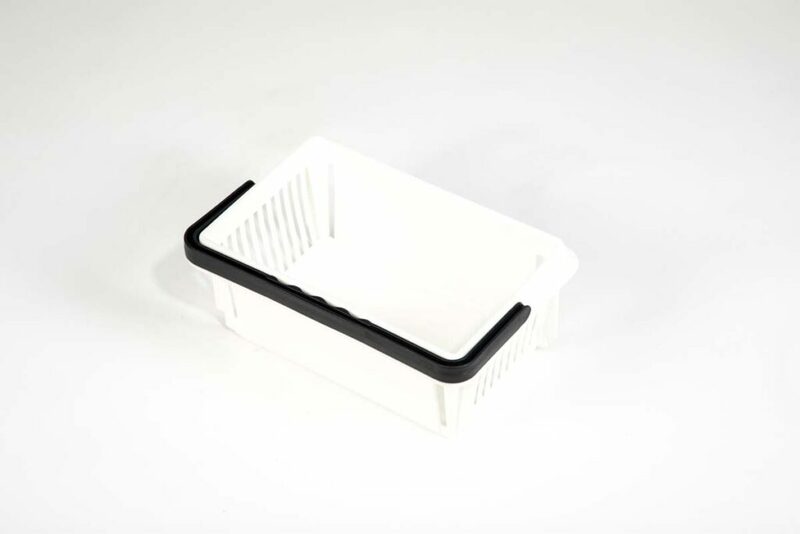 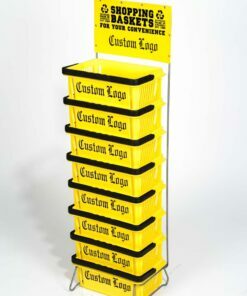 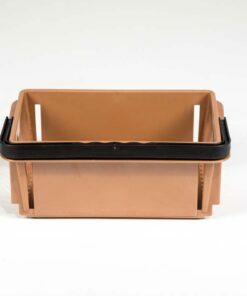 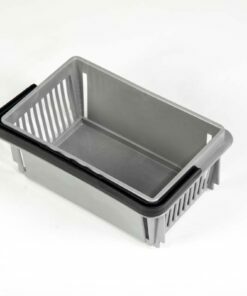 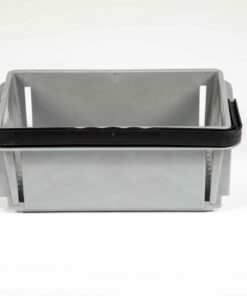 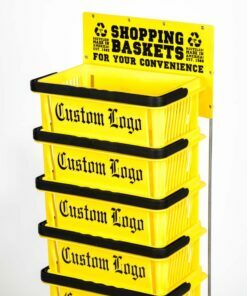 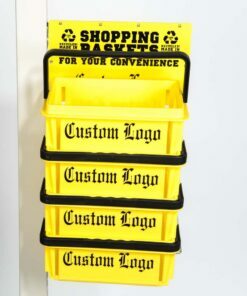 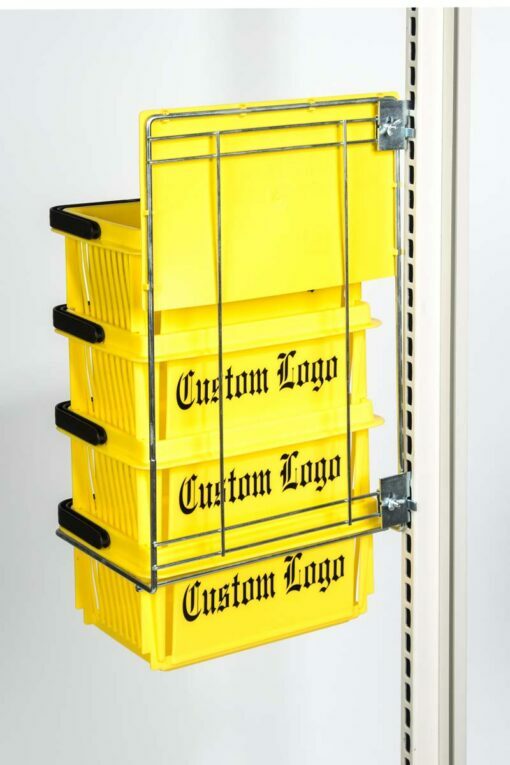 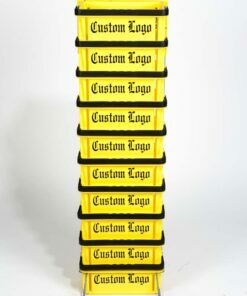 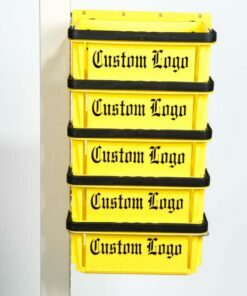 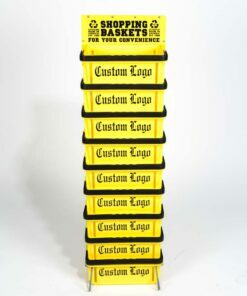 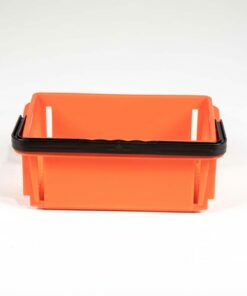 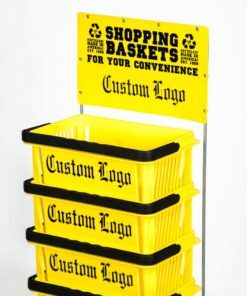 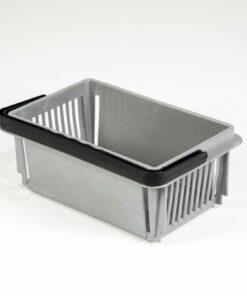 Best of all, Good L Corporation’s smallest basket model still offers ample opportunity to feature your logo using our high-resolution printing process. 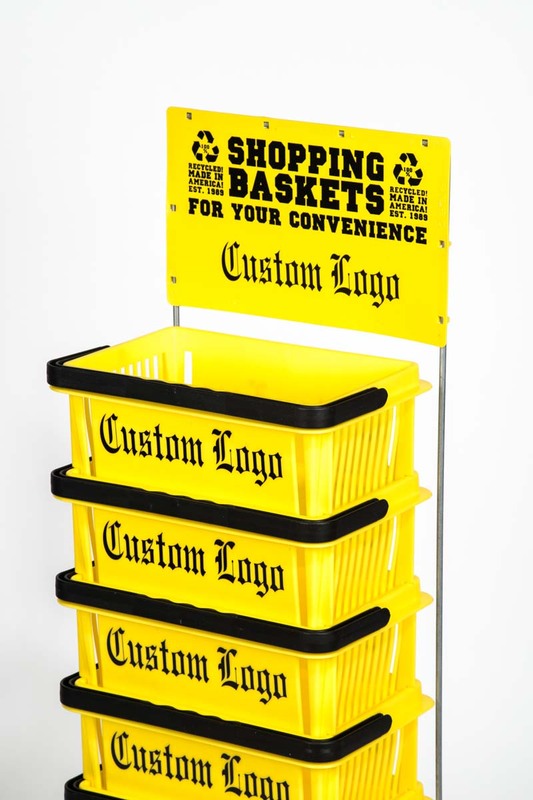 When strategically displayed throughout your store, the Mini Basket can both drive brand awareness and increase overall sales.